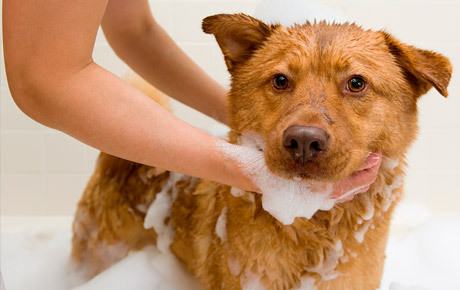 Hide deals from seller "Shampooches Pet Spa"
Limit 1 per person. New customers only. Valid on a bath, blowdry, haircut, brush, nail trimming and ear cleaning. For dogs weighing less than 25 pounds only. By appointment only. Extra services available upon request. Promotional value expires 90 days after purchase. Advertising solicitation prohibited. Pamper your pooch at the spa when you use this deal for 50% off pet grooming services from Shampooches Pet Spa in Rockford ($40 value). This offer is valid for dogs weighing less than 25 pounds, and it includes a full bath, blowdry and brush as well as nail trimming, ear cleaning and a haircut. This budding business in Rockford aims to gain the trust of pet owners by providing excellent care for their dogs and cats. Shampooches is a locally owned business managed by owners with more than 10 years of experience in pet care. Aside from baths and haircuts, this kennel-free pet spa also offers doggie day care. Provide your pups with the pampering they deserve at this superb pet spa. A pet spa in Rockford that offers a variety of pet grooming services.